The cream has, due to its composition, a long-lasting lifting effect. It nourishes and strengthens the delicate eye skin, minimizes local wrinkles and instantly removes edema, which gives the eyes a glowing attractive look. Restorative Complex CaPearl ® – a unique anti-aging properties, it saturates cell proteins and trace elements. It effectively smooths wrinkles, eliminates puffiness and stimulates collagen production. It increases the rate of cell renewal processes and eliminates signs of fatigue and stress. The contained nutrients can have an intense effect on the skin, significantly slowing down the process of wilting. Complexes of Omega-6 and Liftonin – deeply nourish the cells and restore the skin elasticity – providing a noticeable lifting effect. Liftonin strengthens the skin structure and its resulting flexibility is a result of the activation of its own processes of the cells regeneration. Result: Disappearing traces of fatigue, puffiness and dark circles around the eyes. Eye wrinkles are smoothed, the skin around the eyes becomes more flexible. Your eyes get natural radiance. How to use: Morning or evening, apply a small amount of the cream on the skin of the eyelids and around the eyes with light tapping movements. Ingredients: Aqua, Dicaprylyl Ether, Octyldodecanol, Silica, Glyceryl Stearate, Cetearyl Alcohol, Polyglyceryl 3 Methylglucose Distearate, Saccharide Isomerate, Hydrolyzed Rice Bran Protein. Oxido Reductases, Glycine Soja Protein, Glyceryl Linoleate. Glyceryl Oleate, Glyceryl Linolenate, Cetraria Nivalis ExtractWH, Larix Siberica Needle ExtractWH, Caviar Extract, Pinus Sibirica Seed Oil Polyglyceryl-6 EstersPS, Chamomila Recutita Flower Water*, Rosa Damscena Flower Water*, Rhodiola Rosea Root ExtractWH, Linum Usitatissimum Seed Oil*, Triticum Vulgare Germ Oil*, Anthemis Nobilis Flower Extract*, Panthenol, Glycerin, Sodium Stearoyl Glutainate, Partům, Sodium Polyacrylate, Benzyl Alcohol. Dehydroacetic Acid, Sodium Benzoate. Potassium Sorbate. 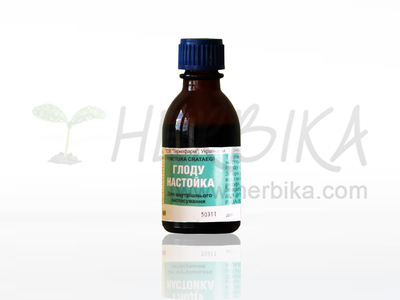 Ethylhexylglycerin, Citric Acid, Cl 77891, Cl 77491. All products Natura Siberica are hypoallergenic, without parabens, SLS, synthetic fragrances and dyes.